The German Democratic Republic, informally known as East Germany, was a state within the Eastern Bloc during the Cold War period. 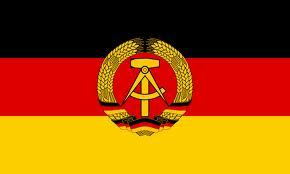 From 1949 to 1990 it governed a region of Germany which was occupied by Soviet forces at the end of the World War II. The Soviet zone surrounded West Berlin, but did not include it; as a result, West Berlin remained outside the control of the GDR. 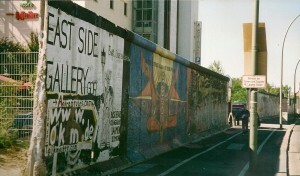 To stop emigration to the West in 1961 the Berlin Wall was established. In 1989, a peaceful revolution in the GDR led to the destruction of the Berlin Wall. 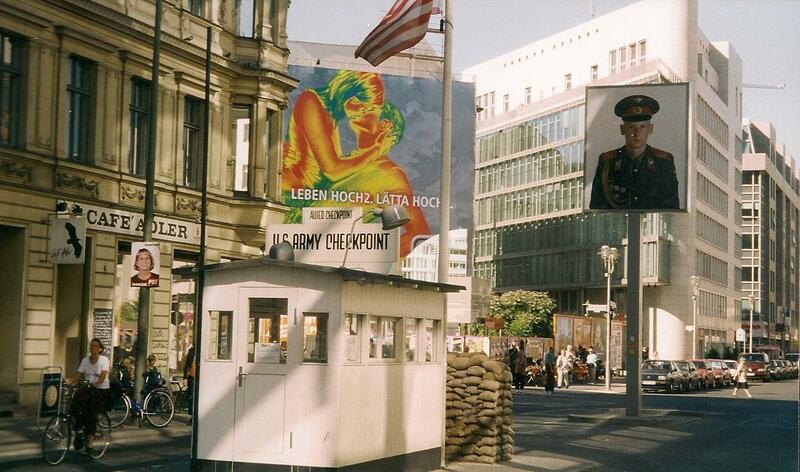 The GDR was dissolved and Germany was reunited in 1990.